If you haven’t already, visit the main Festival post for information about all the categories, and how to win! A $75 Gift Certificate to Fat Quarter Shop! A $100 Gift Certificate to Shop Martingale! A choice of a Stash Pack from Vicki Welsh and a 2.5 yard package of Mystyfuse! Nominate your favorite quilt from the festival for a Viewer’s Choice award by completing this form. 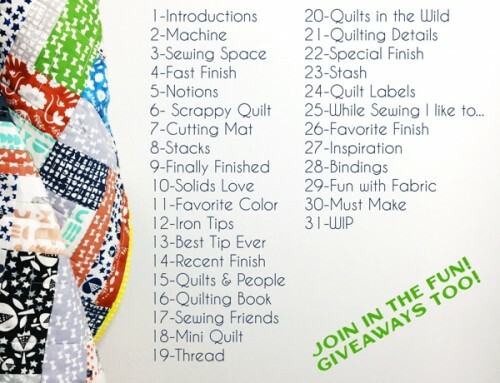 The winner of the Baby Quilt category will win a $40 Gift Certificate to Sew Fine Fabric! The red X is only seen on your computer, it gives you the option to edit/delete your link if necessary, also note that it may take a few minutes for your image to show up here. If you are having trouble adding your link to the collection, verify that you are using as permalink, as links to your main blog page will not be accepted. 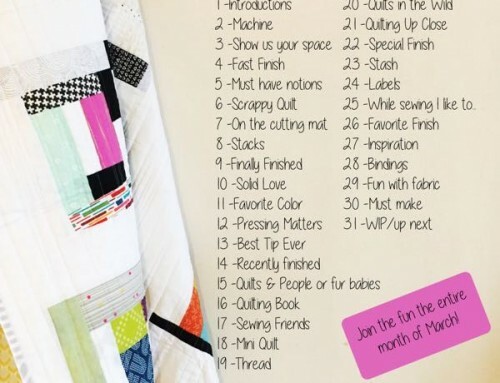 Be sure to visit all the categories, and nominate your overall favorite quilt! 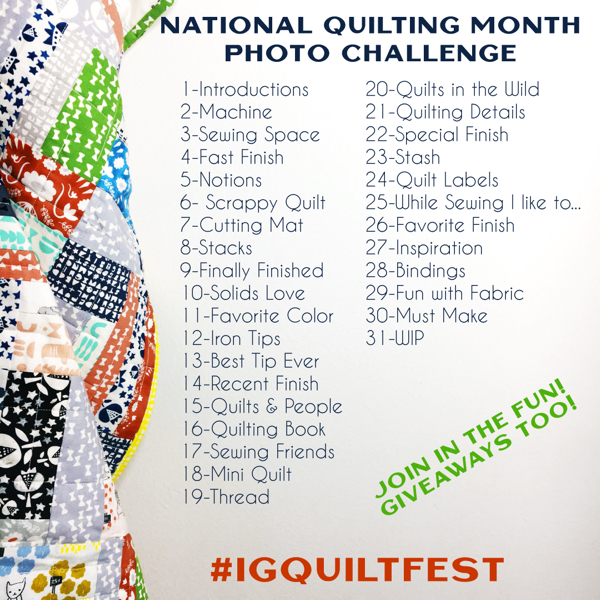 Blogger’s Quilt Festival — Winners! 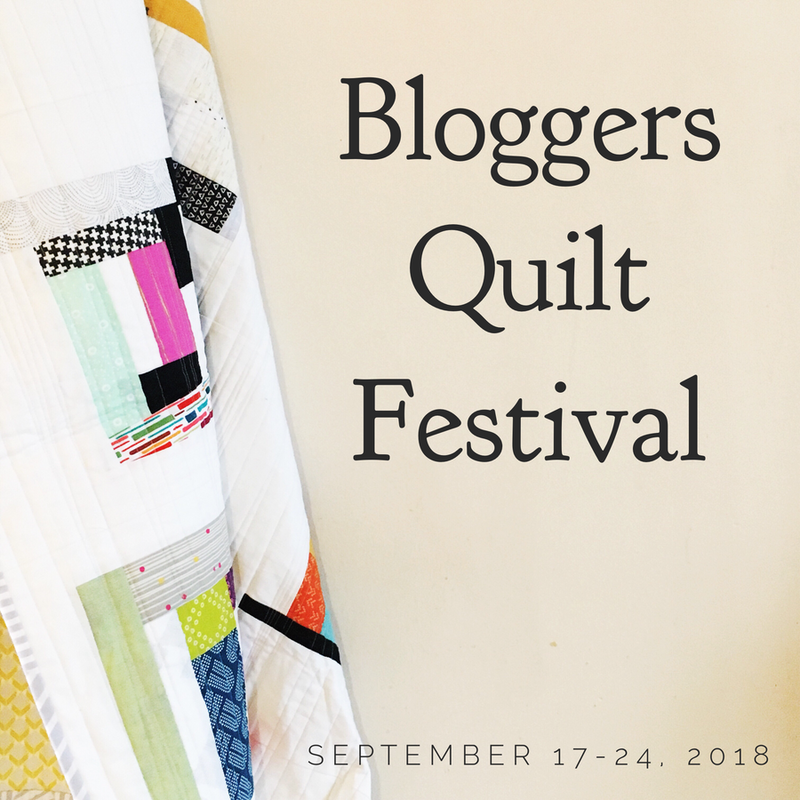 Blogger’s Quilt Festival — Coming soon! Thanks for the chance to participate again. Here’s to a week of admiring beautiful quilts that we might not have seen otherwise. 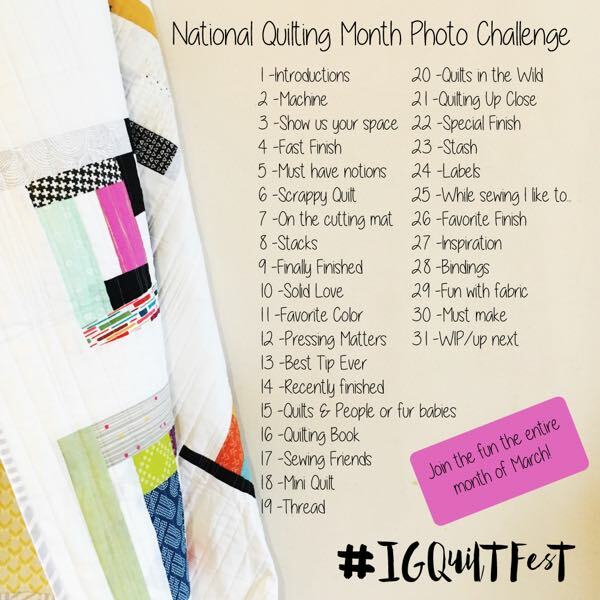 This is my first time ‘entering’ I am looking forward to seeing all the quilts. I am somewhat new at this and I love to see what everyone is doing it is so inspiring! Just entered my quilt. Excited to be participating for the first time! Thanks for all the effort coordinating this. So much fun to enter again this year….what an awesome array of prizes! 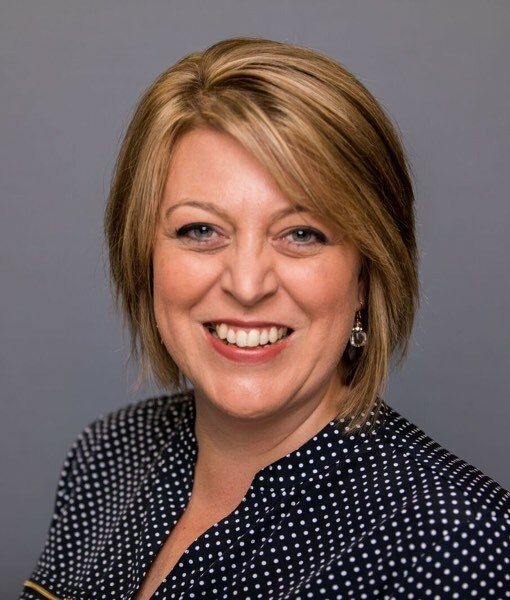 Amy, thank you so much for all that you do to make this happen for all of us! I really wanted to participate in the “Blogger’s Quilt Festival :: Baby Quilts” so I attached the link to the flickr photo of the baby quilt I made for the baby of my son’s life-long friend in the Army. I do not have a blog, but I post all my quilts on flickr. I was getting an error that I needed a back link to your site. Instead of creating a blogpost, I chose to comment and attach the flickr page of the baby quilt here. Thank you for the chance to win. 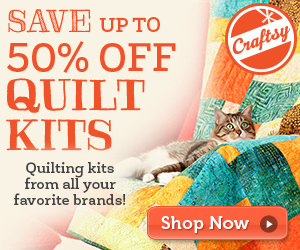 I love looking at all the quilty goodness. Thanks again for hosting, Amy! Thank you for all of the time and effort that I know must go into this wonderful festival. I look forward to it every time! This is my 4th time to enter a quilt, I think. You have done an incredible job..once again!! Many thanks! I have entered a quilt in the Baby Category! Amy, thank you for yet another wonderful festival. I’ve only been in a position to admire all the wonderful quilts in the past, but this time around I am thrilled to be also able to share a quilt myself. Great quilts for inspiration and ideas. I like the way you set the entries this year and categories. Lots of work I know, but it looks so good. Thanks a lot for all of this. So many beautiful quilts! 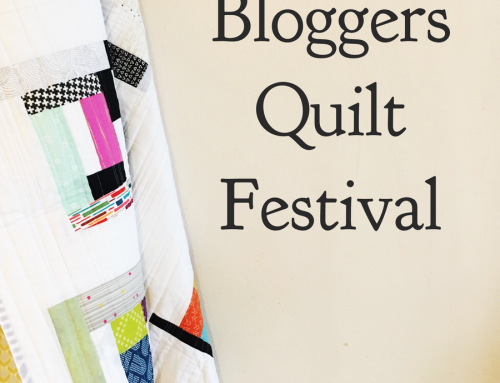 This years Bloggers Quilt Festival is better than ever! Thanks so much Amy for hosting the event! 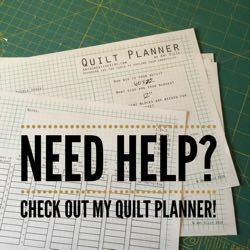 I am enjoying seeing all of the quilts… in all of the categories! Thank you for all the hard work that goes into organising this. I’m a new quilter and it’s my first time entering a competition with one of my quilts but it’s great to have a way to do that in a friendly community environment. This is my first time participating. I look forward to viewing all these wonderful quilts…so much inspiration! Thanks! Thanks for hosting another year, Amy! This is my first year entering and am so excited to see all the other quilts. This is my first time entering a quilt show and I’m very excited to share! It’s been awhile since I joined in the fun. And what a delight it is to browse around. What a group of creative folks are here! Thank you Amy for once again coordinating all of this is one spot! So sad…. the links must have closed out early. I only have active links to vote…. Thanks to Amy. I will be making a baby quilt soon. So many wonderful ideas. Thanks to everyone. I love that the quilt looks like a gift — perfect for a baby quilt! Thanks for this great show. I’m really disappointed: I’ve tried the whole day (Finnish time) to find the linky to be able to post my entry here. In my opinion there should still be time to enter a quilt here, but there really isn’t a linky here. And it seems I’m not the only one, since Nicole above has also been looking for it. Did this close early? Or was the time span defined a bit unclearly? I was looking for the linky to post a quilt too… It says it’s open through the 24th, and its the 24th, but I can’t find it. Love these baby quilts…just wish I could figure out how to vote! Clicking the “vote” button under the quilt doesn’t seem to work. Oh my, so many wonderful quilt designs and so hard to choose one to vote for in this category. Great job by all the quiltmakers! Lots of Beautiful quilts, thanks again Amy!! Hi I have been checking to see your posting of winners since the 31st. Am I missing the correct place to see the winners?